This medium size Rainbow Butterfly Clip features bright color feather butterflies that have hand painted wing designs. They can be clipped into your hair or onto your clothes. The listing is for 1 butterfly. There are 6 colors to choose from. Their wing span measures 6" by 4". 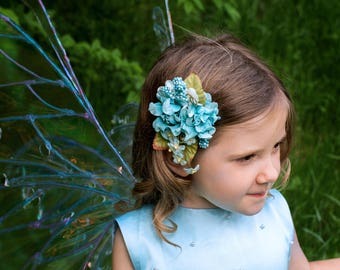 The Fairy Hair Clips are unique and versatile. I designed them in these bright rainbow colors, for my summer 2018 rainbow line of fairy gear. 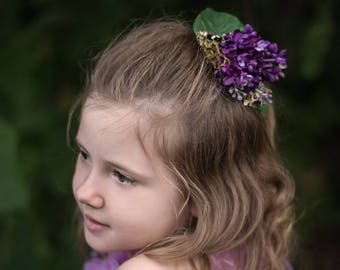 There are 3 rainbow headdress that coordinate with the rainbow fairy hair clips as well as 2 other styles of butterfly clips. 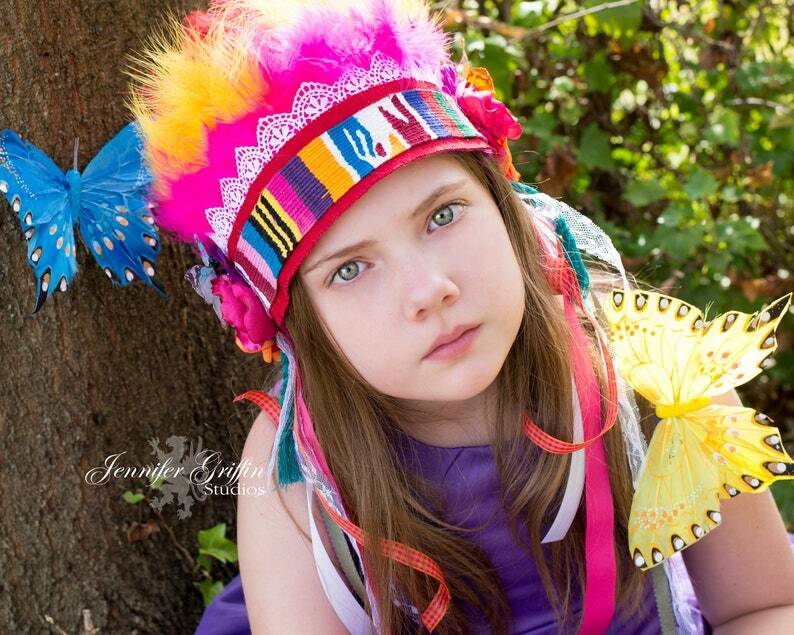 Each headdress is one of a kind. 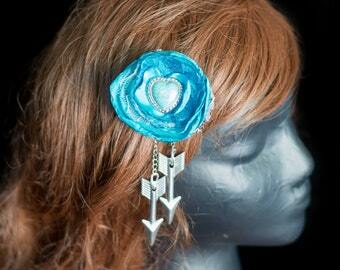 They can be worn with a Fairy Costume, or worn with your Festival Clothing for when you attend festivals. 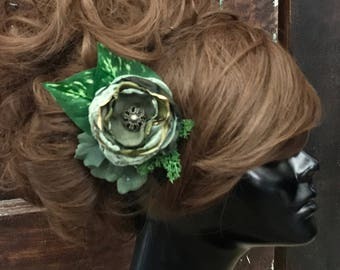 All 3 feather headdress and butterfly clips, coordinate and can be worn together for photo shoots or other gatherings where coordination is needed. 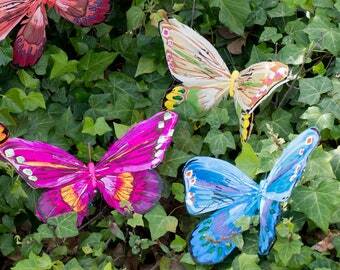 These butterflies would be stunning for a Rainbow Baby photo shoot. I have 2 Rainbow babies myself! Made in the USA- Please note that I am a member of the Delaware Indian tribe, so the headdress you purchase from me are made by a Native American. 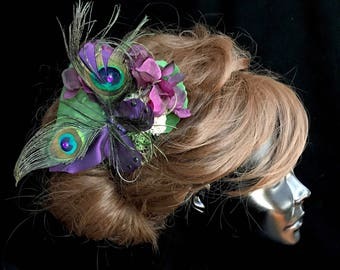 This style of headdress can be worn by ANYONE, no matter their nationality. These are inspired by my heritage and I want to share it with everyone. Beautiful jewelry! Perfect for my fairy costume ❤️ Thank You! I send gifts to family members often from Jenna’s studio. She has never let me down!!!! This gift was no exception!!! Payment is due at time of purchase. If you decide not to purchase an item after you have made payment, you must cancel within 24 hours for a refund. I reserve the right to cancel a sale and give a full refund of purchase. As with all things, sometimes there are unexpected circumstances and items are damaged or not as expected. I am more than happy to give you a full refund if an item was damaged because of poor packaging. However, I cannot be responsible for mishandling of packages by the USPS and cannot offer a refund under these circumstances. However you may file a claim with the USPS for damages if you have Priority or Express mail service and are within the US. I do my best to describe items in full detail, including measurements. What should you do to return an item for a refund? 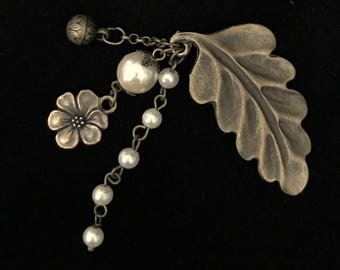 -All vintage, art piece, made to order and custom items are NOT returnable and I cannot give a refund for these items. -Non-Vintage, non-made to order and non-custom item must be returned unworn and in the same condition it arrived to you. Please contact me within 3 days of receiving the item if this rare situation should occur. -I will send you a prepaid return packaging and when the item(s) are received I will then issue a refund if the issue is faulty manufacturing. I will then issue you a full refund including shipping charges. -If you simply do not like your piece, then return the item within 7 days and I will issue a refund for the full purchase amount minus original shipping charges. -Due to international shipping charges being so high, I cannot take returns from international customers. I apologize for this inconvenience. Please note that once an item leaves the US I have no way to check on the package. You will have to check with your local postal service in your country. You are responsible for all customs fees, VAT taxes and import taxes. I also cannot control how long customs holds your order. Even with expedited shipping, sometimes customs takes a bit longer than usual. Please take this into consideration when purchasing around holidays. Each item is inspected thoroughly for quality before being made available for sale and then checked again before item is packaged for shipping. If you have a question about your item after purchase please feel free to contact me! Please note my items are not mass produced. Each piece is made be me, photographed by me, listed by me, and packaged by me. As each item is handmade and contains all or some vintage and/or antique pieces, each vintage and/or antique piece may have signs of age. This is to be expected and adds character and uniqueness to each item touched by time. Vintage goods, art/mixed media piece, custom designs and most made to order items cannot be returned. I apologize for the inconvenience of this. Please ask questions or request more photos if needed, before you purchase any of these goods. All items are shipped using the USPS Mail. There is the option for Priority Mail or Express Mail service unless the item listed specifies otherwise. If you'd rather use another shipping carrier, please message me the details and the carrier you would like to use. I am happy to accommodate. I try to reuse shipping materials as often as possible to stay as green as possible. No need to add more to the landfills if it can be used again. Should your item require packing peanuts, I only use corn starch based, biodegradable packing peanuts that dissolve in water. I offer gift wrapping options. If you'd like your item gift wrapped, it will be wrapped then packaged in a shipping materials. I also do not send invoices or receipts unless requested. If you need to be invoiced, or need a paper receipt, please make note on your order when checking out, or send me a message. Non-custom items are shipped within 3 days of payment received unless otherwise noted. If you would like your custom order item rushed, please contact me to see if rushing your order is available. -Priority Mail: 1-3 business days- Free $50 in insurance (some restrictions apply. See USPS website for details)- Delivery date confirmation when label is generated. -Standard First Class International: Various delivery times depending on country and Customs- For packages up to 4 lbs and packages of $400 in value- No insurance. -Priority Mail International: 6-10 business days for delivery (for many major markets)- For packages up to 70 lbs.-Ordinary Indemnity Insurance depending on weight. $100 in insurance included. -Express Mail International: 3- 5 business days for delivery guaranteed- $200 in insurance included. For International packages please note that as soon as the package arrives at customs, I no longer have the ability to do anything about the package. Such as file a claim for lost packages or do a package search. If you want security in the ability to find your package IF something happens, I suggest purchasing the Priority Mail Service or Express Mail Services option for international mail as it comes with insurance and the ability to file a claim should something go wrong or a package gets lost. There is NO insurance on First Class Mail service. If the tracking number states that your package has been delivered then there is no way to get compensation for the loss from me or the USPS. If you would like additional insurance please message me and I will add it to your invoice BEFORE you place your order. International buyers, Lily Mairi, LLC does not collect for foreign governments. You are responsible for additional Customs taxes, VAT tax, and duty for your country. How long do custom order/made to order items take? Custom orders and made to order items are available and make up roughly 50% of the work I do. 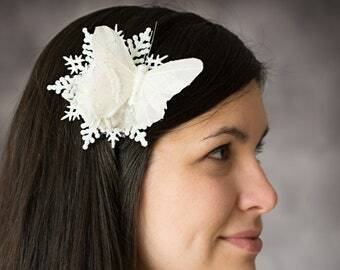 Please allow 1 week for custom orders and made to order items for months January through August. 2 to 4 weeks for September through December unless otherwise noted in the shop announcements section. If you need me to design a piece from scratch please contact me for the charges involved. Please contact me for more details as some supplies may need to be purchased online and may require more time. Custom orders must be paid within 3 days of the listing going active, unless we have discussed a different time frame. Items not purchased in the time frame discussed, the listing will be deleted. 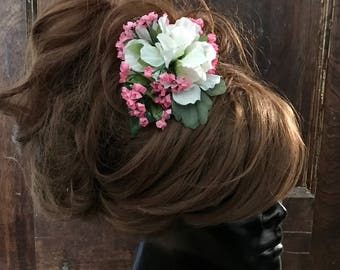 There is a $10 Rush fee for custom orders and made to order items that need to be completed and shipped in less than the standard week associated with custom designs and made to order items. After we discuss details about what you would like for me to create for you, I will create a private listing for you with a recap of your custom piece. Once the listing is paid for I will send you photos of the supplies I will be using in your custom order. After you approve the supplies, I will begin working on your piece. After your piece(s) are complete I will photograph the item(s) for approval. If changes need to be made, they should be made at this time. Once your piece is exactly how you want it, it will be shipped on the next business day via the shipping method of your choice. During the process, if you have changed your mind , or unforeseen circumstances arise and you no longer wish to purchase a custom piece, please contact me asap. I can refund your money if I have not (1) purchased any supplies especially for your piece and (2) I have not cut, sewn any fabrics or used any other supplies. In the case I have already started your piece, I will not be able to cancel your order or give you a refund. I will complete the piece and ship it to you as originally requested. If I have NOT begun your piece and I have purchased special supplies, I can give a refund minus the cost of the exotic/special supplies purchased especially for your piece.